A Brooklyn, Iowa, woman says she had her own encounter with suspected killer, Cristhian Rivera, the man accused of abducting and murdering University of Iowa student, Mollie Tibbetts. Bestell said Rivera once asked her out on a date. She declined the offer but it didn’t stop him from trying to pursue her. He reportedly began sending her Facebook messages in the middle of the night. She added that he also started messaging two of her friends. 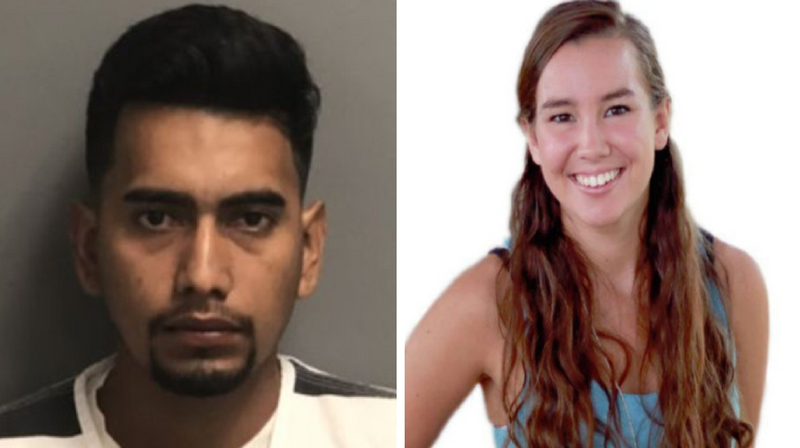 Bestell stated the last message she received from Rivera occurred on June 13 at around 3 a.m. A little over a month later, Rivera allegedly killed 20-year-old Mollie, after he abducted her while she was out jogging, according to court documents. Another Brooklyn resident, Justin, stated that Rivera likely followed his girlfriend home and circled around the block in her neighborhood at least two times in the past.